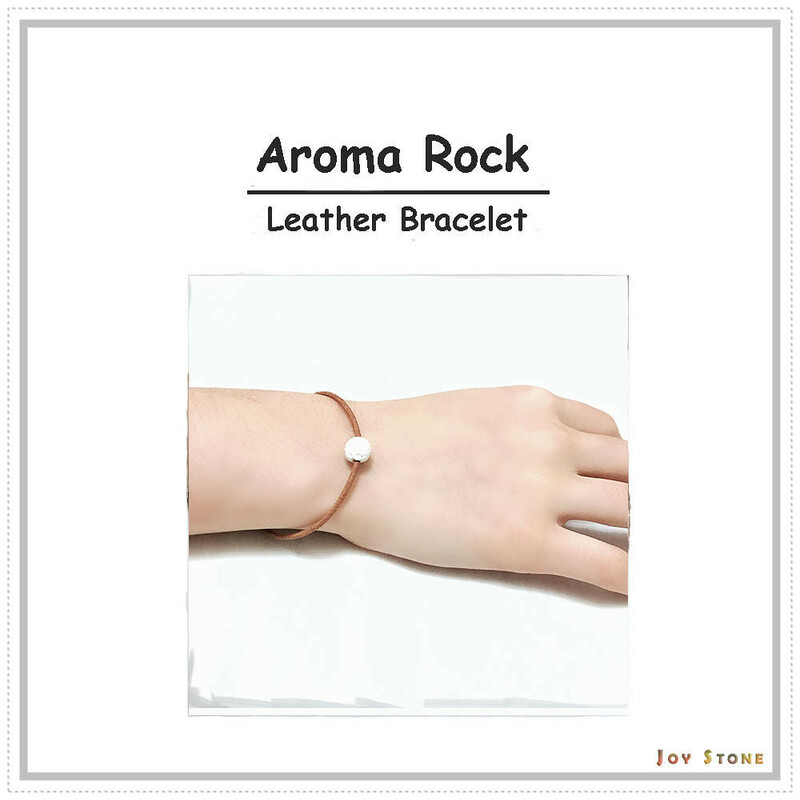 The thin Light Brown Leather Cord Wristband Bracelet features 2mm wide leather cord with 8mm white aroma lava rock. 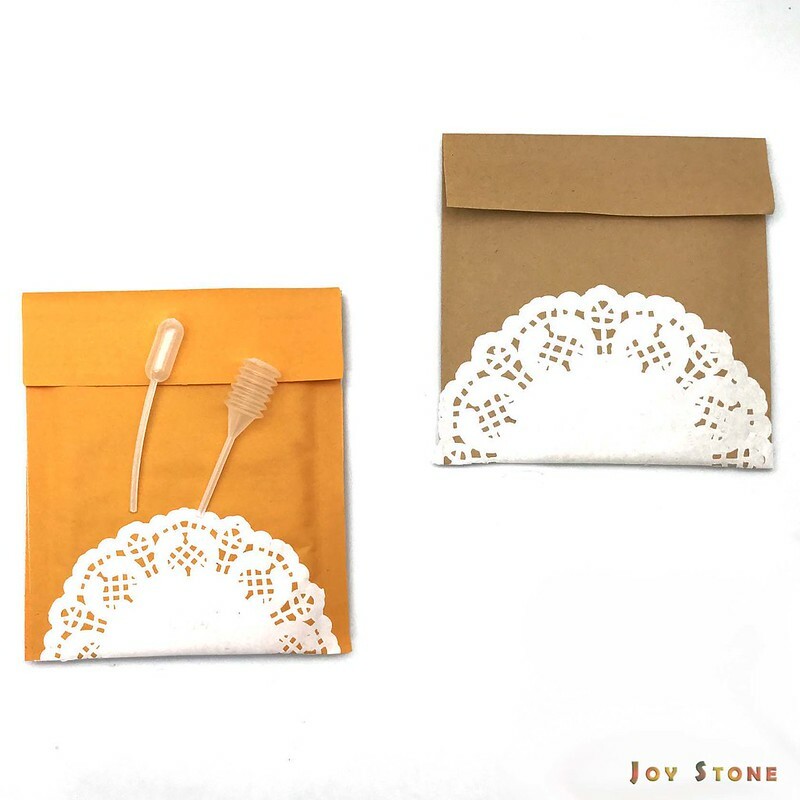 Dashing Accessories for both leisure and formal Occasions, well-chosen Gift on Valentine, Graduation Day, Birthday, Anniversary, Christmas etc. 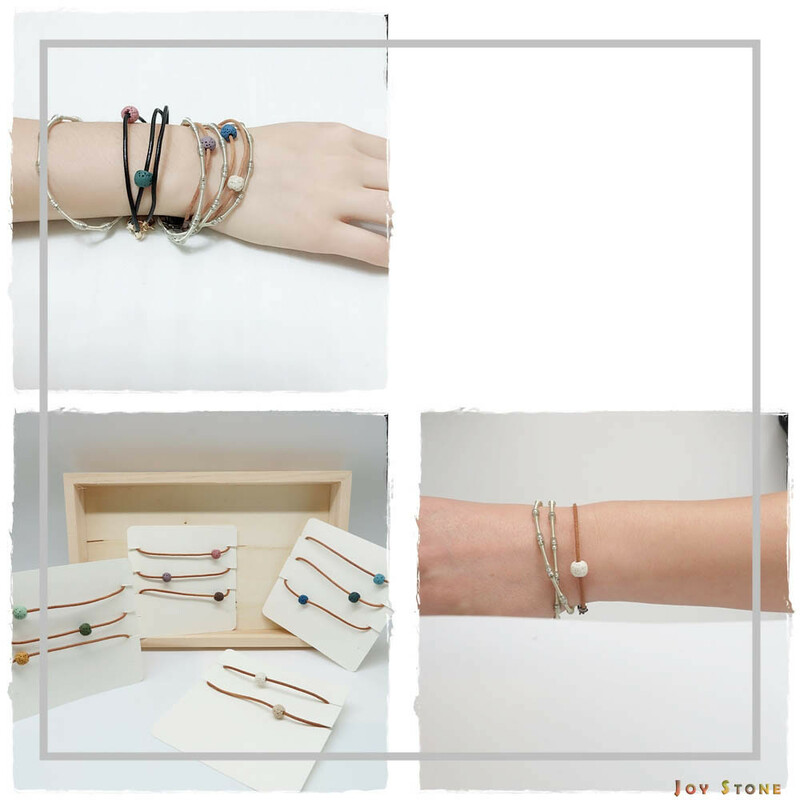 The stylish and durable leather cord wristband bracelets with Titanium Steel Clasp are chosen to be comfortable to wear for day to day, for work place elegance. 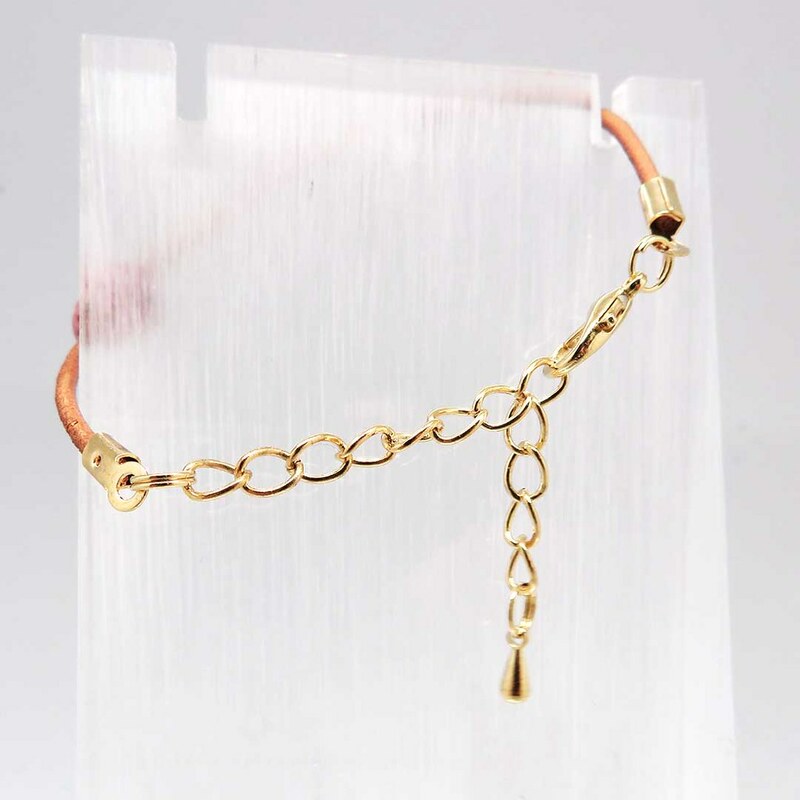 Fitting for maximum wrist size 14~18cm, with attached stainless steel extend chain approx. 5cm. Allows you to adjust the max wrist best suited to up to 18cm. Timeless and trendy, help you show off your personal style. Suits for Women and Men of All Ages. Simply add your favorite essential oil onto the diffuser lava rock bead of this bracelet, as you go about your day, you will enjoy the aroma of your favorite essential oils or perfume. Here are the perfect gifts for yourself and/or someone special. It's always nice to wear wide leather cord wristband bracelets. Shop them for yourself and/or those close to you. Size(±1cm) maximum wrist size 14~18cm, with attached stainless steel extend chain approx. 5cm. 1. Do NOT wear them while in a sauna or other humid location, means that it may be worn. 2. Be careful not to pull your bracelet too hard when worn daily, to prevent the thin leather getting caught by clothing or other accessories. 3. After added oil onto the diffuser beads, too much oil on the chain can cause it to tarnish. Rinse the chain with water and dry it with a soft cloth to help slow tarnishing. 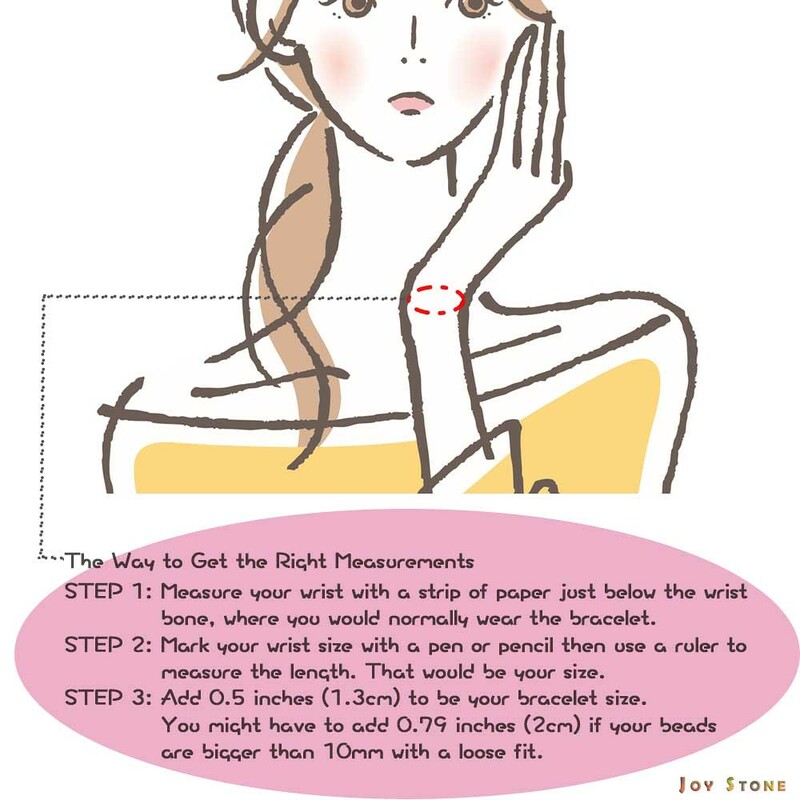 2.Don't take BELOW as a standard rule, it's just the way we use it to get the right measurements. You might have to add another 2cm if your beads are bigger than 10mm. 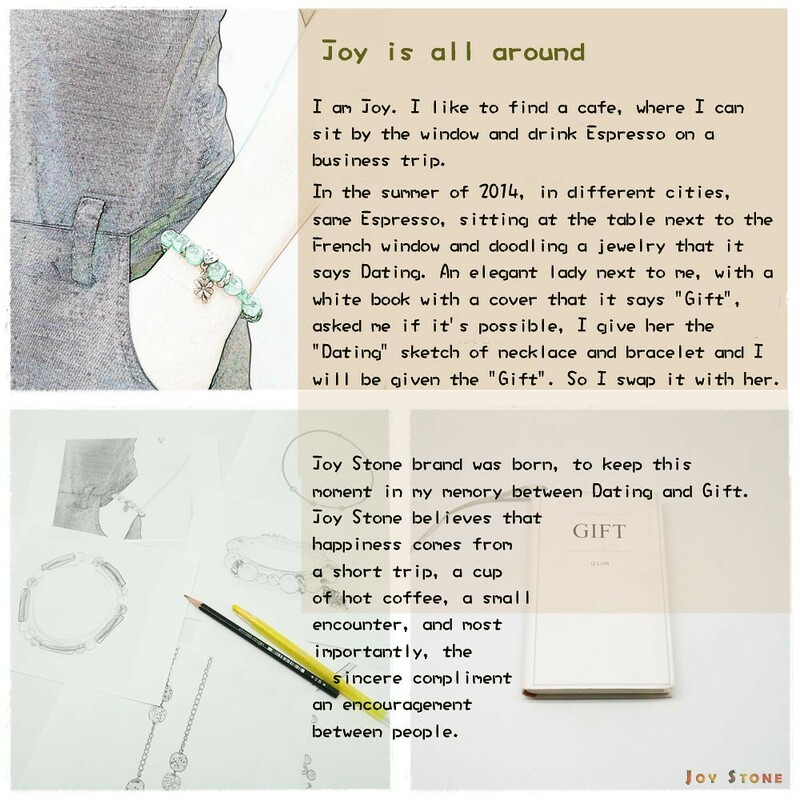 The design sources for Diffuser Jewelry Collection focusing on simplicity and natural materials, such as such as liuli art glass, lava rock, sterling silver, fine copper and crude wood, sparkling precious stones pendant, dazzling in its simplicity, that express a sense of simplicity and character of each.